The study sought to assess the impact of age on recurrent ventricular tachyarrhythmias, appropriate ICD therapies and all-cause mortality at 5 years in consecutive ICD recipients. Age ≥ 75 years was associated with higher rates of first recurrent ventricular tachyarrhythmias, appropriate ICD therapies and all-cause mortality at 5 years. Elderly ICD recipients aged ≥ 75 years are at increased risk of recurrent ventricular tachyarrhythmias, appropriate ICD therapies and all-cause mortality at 5 years. Data regarding the prognostic impact of age in implantable cardioverter defibrillator (ICD) recipients is limited. The study sought to assess the impact of age on recurrences of ventricular tachyarrhythmias in ICD recipients. This “secondary prevention” study is based on a large retrospective registry including consecutive ICD recipients with documented ventricular tachyarrhythmias from 2002 to 2016. Patients < 75 years of age were compared to patients ≥ 75 years. The primary endpoint was first recurrence of ventricular tachyarrhythmias at 5 years. Secondary endpoints were ICD-related therapies, rehospitalization, and all-cause mortality at 5 years. Statistics comprised Kaplan–Meier survival curves, multivariable Cox regression analyses, and propensity-score matching. A total of 592 consecutive ICD recipients with index ventricular tachyarrhythmias was included (< 75 years: 78%; ≥ 75 years 22%). Age ≥ 75 years was associated with the primary endpoint of first recurrence of ventricular tachyarrhythmias (49% vs. 43%, log-rank p = 0.015; HR 1.418; 95% CI 1.070–1.881; p = 0.015), and with the secondary endpoint of first appropriate ICD therapy (78% vs. 22%, log-rank p = 0.011) even within multivariable Cox regression analyses. After propensity-score matching, age ≥ 75 years was still associated with the primary endpoint of first recurrence of ventricular tachyarrhythmias (49% vs. 42%, log-rank p = 0.045; HR 1.482; 95% CI 1.007–2.182; p = 0.046). Elderly ICD recipients aged ≥ 75 years are at increased risk of recurrent ventricular tachyarrhythmias, appropriate ICD therapies, and all-cause mortality at 5 years. Kathrin Weidner and Michael Behnes contributed equally to this work. There is no potential conflict of interests to disclose for any author. 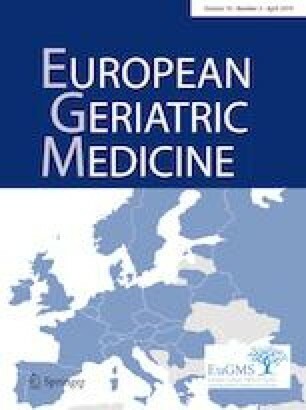 This study is based on a retrospective data analysis/registry and has been approved by the local ethics commission II of the faculty of Medicine Mannheim, University of Heidelberg (ethical approval number 2016-612NMA) (ClinicalTrials.govidentifier: NCT02982473). No informed consent was deemed necessary for this study.